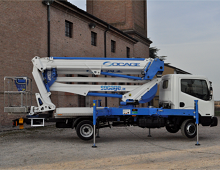 Leading Italian manufacturer Socage, established in 1974, started as the first Italian group to specialise in equipment for aerial work. Now, with more than 30 year of experience, they have branches in North and South America, Asia, Africa, as well as Italy and other parts of Europe. 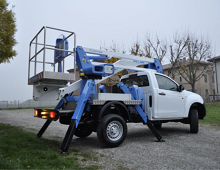 In 2018 Socage is making its Australian market debut with Cristiano Righettini, Managing Director of Socage Asia, working in partnership with Access Service Australia. 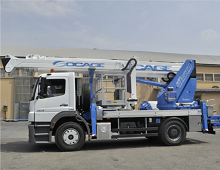 Socage specialise in the manufacturing of truck mounted aerial and access platforms, ranging from 10 metre to 75 metre working height. For all Sales, Service and Spare Part enquiries, contact your nearest branch. 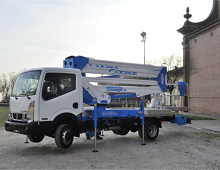 The compact A-Series from Socage are articulated aerial platforms that range from 10 to 12 meters working height. The platforms are easily removable from any 3.5-ton truck or pick up, and the platform can be used with or without outriggers. Access Service Australia sells and services 10A and 12A models. 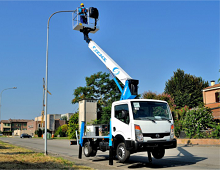 The A314 Series are articulated aerial platforms 14 meters high with small dimensions. They are light weight means they can be mounted on low weight capacity vehicles. Telescopic aerial platforms range from 14.5 to 20 meters high. Ideal for roadworks and maintenance works. Typical users may include electricians and operators of electric plants or power lines. With three controls in the basket, the T-Series are simple to use and can be mounted on 3.5 ton vehicles. The DJ Series are double articulated aerial platforms ranging from 32 to 37 meters working height. With a double articulated boom and a JIB, the unit can easily overcome obstacles and move the basket freely. 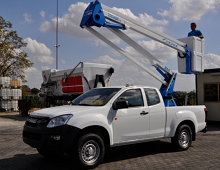 The Socage E Series are aerial work platforms with electric controls, mounted on an X-shaped chassis. This model is light weight and can be mounted on 3.5-ton trucks. There are four types of platforms in this line: double articulated and telescopic platforms, with or without JIB. TJ-TJJ Series are telescopic aerial platforms from 30 to 75 m high. TJ and TJJ platforms are characterized by one or two JIBs, which are a further articulation that allows to easily overcome obstacles at height because of the free movements of the basket.